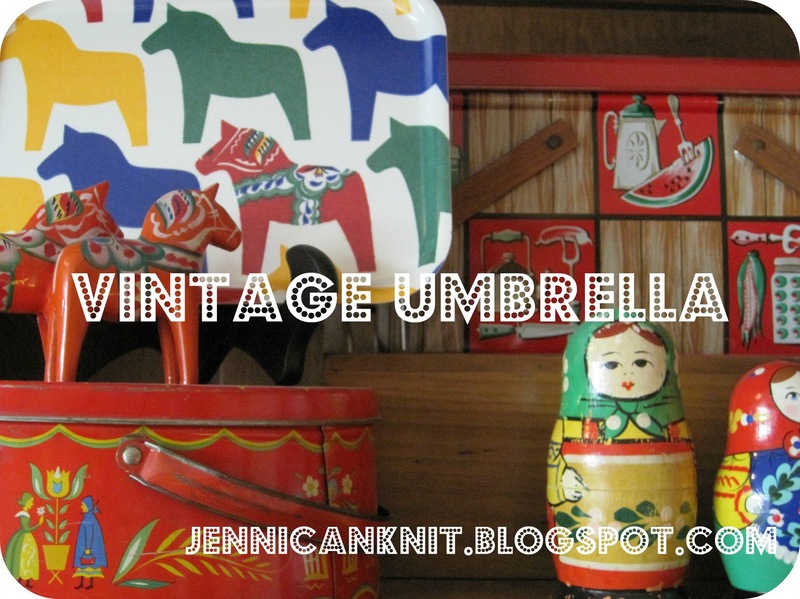 the vintage umbrella: Stripes and pompoms! I've been sewing all sorts of new things for our townhouse. I got inspired by this cute waverly striped fabric. I had bought a bunch of pompom trim on clearance at JoAnn's and have used it on lots of projects. Below is Isabelle peaking out from our new striped curtains. We kept some of the walls white which is unusual for me. I kind of like it for a change. Do you remember this green garden bench from the porch of my old house? It fits perfectly by the front door. The white shelves were in seperate rooms before. I love them mounted together. I made a lampshade to match the cushion on the bench. All the artwork and furniture is from our old house. It fits perfectly in our new place. My sister lent me the armoire... the turquoise is a Martha Stewart paint. It just makes me happy. I hope you've enjoyed the tour... I will show you more in weeks to come. Home is looking so homey, cosy, and BeAuTifuL!!!!! Loving your tour and can't wait for more. Love your colors and happy style. Your new house oozes personality and color. Love it! Oh how I love color...these rooms are great. I especially love the green bench which makes me want to sew a cushion for mine and I love the white shelves put together. Best of all, you can change what is in your white shelves as the mood strikes you. Wouldn't it be cute with Christmas decorations in all of the compartments? Yes, I think you will have to do that for Christmas. What?! Pom poms were on sale and I didn't know it? I ♥ pom poms of every color! Glad you got some, though! well, I never saw your old home but this one is just wonderful1 thanks for the tour! Anyone would be cheered up with all those happy colors! It is SO YOU! Great work blending old and new in your happy home.